Elyse Saugstad talking about the Flying V shoveling rotation. Jill Sanford photo. 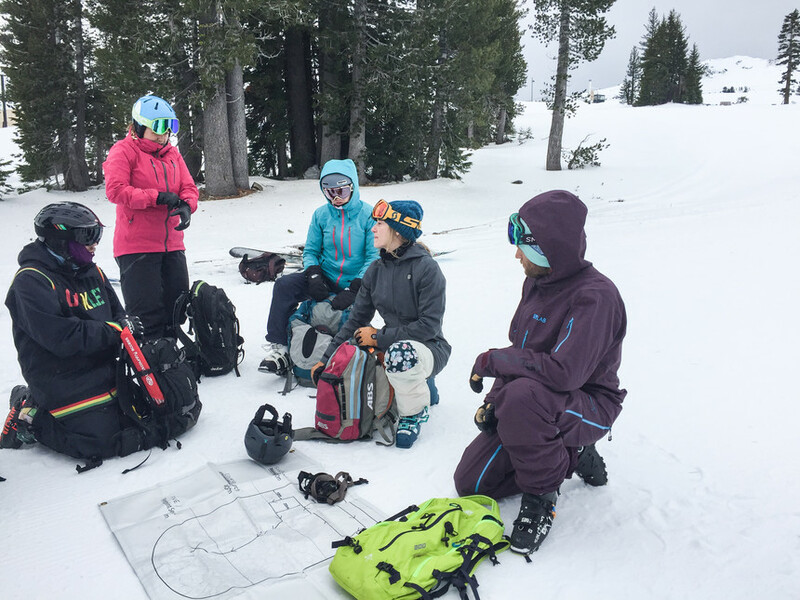 Three years ago, a formidable group of female leaders in the word of extreme skiing started a women’s only avalanche clinic that fosters communication and confidence in the backcountry. 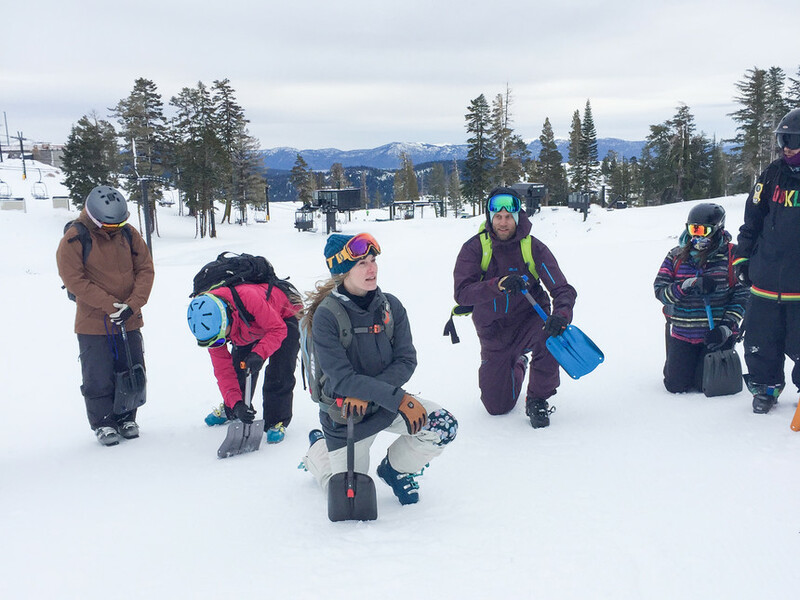 With more and more women getting into the sport each year, the SAFE AS clinics have taken off and are an extremely popular event each year at Squaw Valley, Crystal Mountain, and Stevens Pass. The SAFE AS (Skiers Advocating and Fostering Avalanche and Snow Safety) clinics were founded by pro skiers Michelle Parker, Jackie Paaso, Ingrid Backstrom, and Elyse Saugstad, yoga instructor Sherry McConkey, and Squaw Valley avalanche forecaster, Alaska heli-ski guide, and AIARE Avalanche Instructor Lel Tone. Guest instructors who have been added to the mix since then include Robin Van Gyn, Kimmy Fasani, and Cody Townsend. Up until this year, these clinics have been strictly 'no boys allowed' to promote the unique, supportive style of learning that a lot of women find in female-only group dynamics. 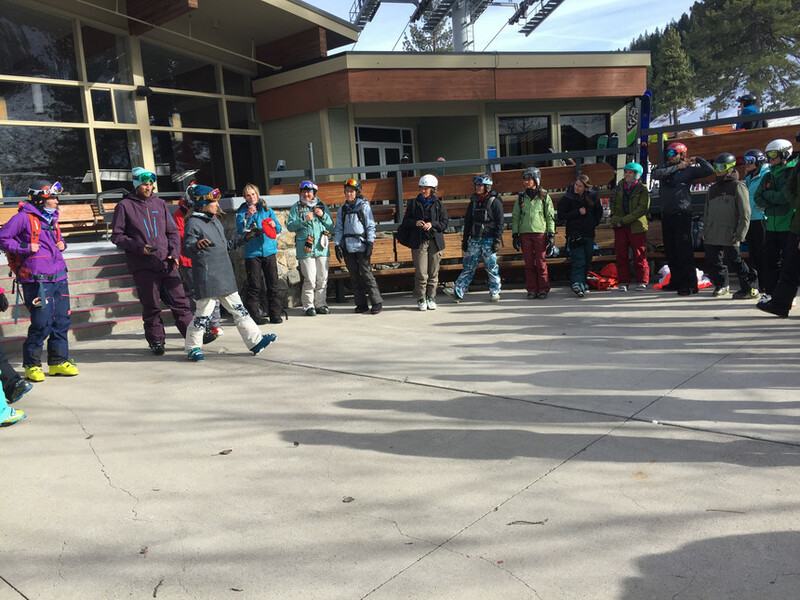 But this year saw the first ever co-ed SAFE AS clinic at Squaw Valley on December 11. I was lucky enough to be a class participant and fly on the wall, and while yes, men did turn up to eagerly learn from the pros, the primarily female culture that SAFE AS was founded on prevailed. Saugstad welcoming the group. Jill Sanford photo. The norm in the world of outdoor sports is for women to learn and recreate within a male dominated culture. The majority of us were taught to love skiing, backpacking, fishing, biking, etcetera by our dads, brothers, boyfriends, husbands, guy friends… you get the picture. I learned to love outdoor recreation from my mountain dwelling mother and grandmother, but since leaving the nest have definitely run into my fair share of exclusion and externally enforced insecurities that result from being female in a predominately male sphere. With the SAFE AS co-ed clinic, however, it’s the first time a high-profile, female dominated event has invited men to learn from women, rather than the other way around. The female instructors and founders behind SAFE AS have created such a strong, supportive and women-oriented culture with these clinics that it made no difference to the group dynamic to have a few men tag along. Beacon training. Jill Sanford photo. 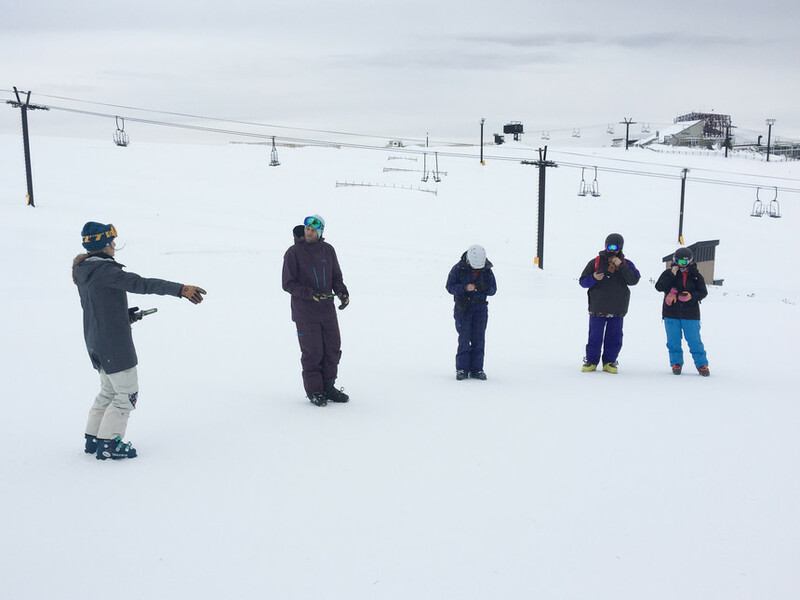 Graham took the class with his friend Aparna Reddy, who invited him to join her at the event because the two of them plan to get more into backcountry this winter and wanted to be prepared. The founders and instructors agreed that the event was pretty successful in maintaining the group dynamic that they’ve been purposefully fostering over the years. The McClain family are self-described weekend warriors out of the Bay Area and only had positive things to say about the class dynamic. Wendy and her two teenage daughters, Sarah and Annie, were glad they could bring dad along for the experience. Saugstad showing the group how to use their beacons. Jill Sanford photo. “It’s amazing to see the girls interacting with these impressive women,” added her husband, John. The McClains aren’t alone in appreciating the group dynamic that the women behind SAFE AS have created. A group of three best friends, Ehrin Davis, Aimee Leigh Harris, and Julie Fair, took the class together. Davis and Harris also happen to be a couple, but when it came time to break off into pairs to practice fine searching with beacons, the women stayed together and Davis was the odd man out left to find a new partner. “It was originally just supposed to be us taking the class together, and Ehrin tagged along,” Harris explained. “But we’re all on the same playing field now.” Even with her boyfriend around, Harris stuck to her original plan of female companionship, which is very similar to the way the instructors stuck to their female leadership style even when a male pro skier was added to the mix for this co-ed day. Saugstad and Townsend talking about finite beacon searches. Jill Sanford photo. Married couple Townsend and Saugstad led the conversation about communication and group dynamics in the backcountry, and everyone who has dabbled in avalanche safety courses knows how important it is to factor each voice into group decisions in these situations. Townsend was seamlessly integrated into the already established group dynamics of the instructors. His contributions to the conversation were delivered in the same supportive, thoughtful and encouraging style that the women used, and there were even times when he deferred to Saugstad. After breaking out into smaller groups with each instructor for the day, Saugstad lead our pack from the mountain back down to the classroom. Townsend brought up the rear with those of us who were less stoked about straight lining down the icy rain-affected Mountain Run at Squaw Valley. 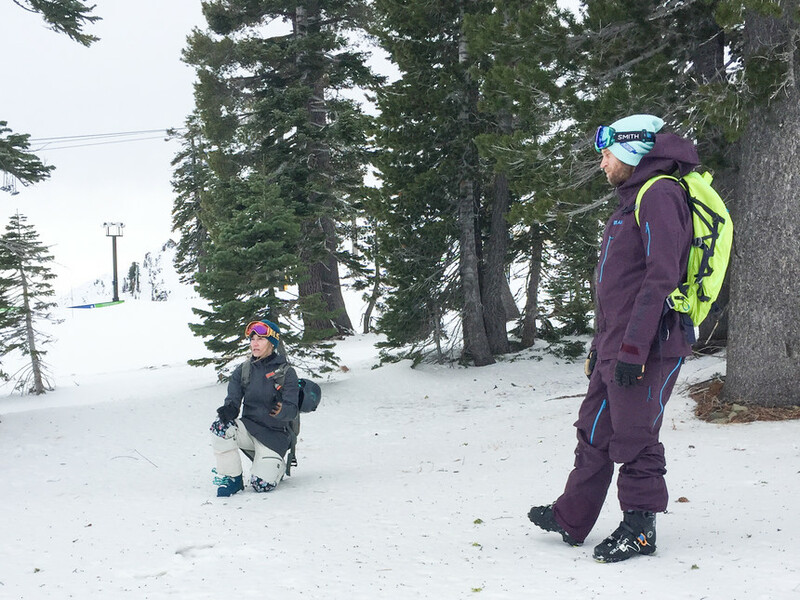 As we skied downhill, he asked me questions like “What did you think of the class?” and “Did you have fun?” I felt like he had my back in the same way that I felt supported and encouraged by all the other instructors that day. Not only did the founders of SAFE AS create a supportive and welcoming learning environment for women in the traditionally male dominated world of outdoor sports, but they continue to reverse the status quo of gender dynamics in outdoor learning with this new co-ed clinic.